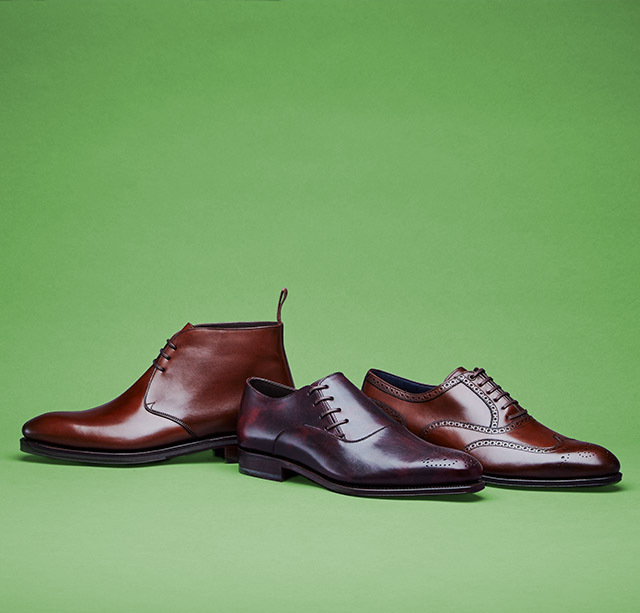 Carmina was the brand born in 1997 by Jose Albaradejo Pujadas, known as a pioneer of shoe-making in Mallorca, Spain. Customers worldwide love fitting of the shoes created by his philosophy of maintaining high quality and tradition as well as challenge. Shoe freaks are highly evaluating its cost performance value and good fitting created with selected materials (from Annonay in France, Zonta in Italy, Weinheimer in Poland, C.F.Stead in UK and Horween in USA), original last developed for Japanese customers and precise paper pattern.